The key to flawless makeup is using the best makeup brushes. Let's explore the types of makeup brushes and how to use them. There are quite a few different types of makeup brushes on the market today. It can be confusing when makeup brush shopping. Which ones are the best? What brush do I use for what? Why do you need so many? It does not have to be so confusing. I will make things simple for you. 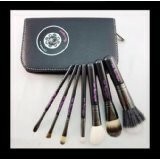 MAC Is a reputable brand of makeup with a complete line of high quality make up brushes. I have used their makeup brushes for quite some time and have not found another with the same quality. They are in my opinion the best makeup brush you can use. You will not be replacing your makeup brushes for a long time with MAC on the job. 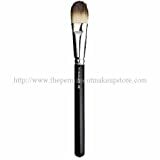 As a Mary Kay Beauty Consultant for 10 years I have been asked many times which makeup brushes are the best to use. I always refer my clients to MAC makeup brushes because I feel like they are the best makeup brushes to use. I keep them in my inventory to resell to my clients and have never gotten a bad review. I always get good reviews and a thank you for referring them to a good product. They are not the most inexpensive but they are the best. Many women use their hands to apply foundation. It can get messy and you are typically rubbing your skin way too hard when applying foundation. A sponge works better but you can add too much foundation to your face and end up with more than you need. 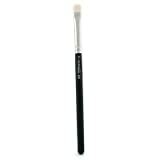 Try using a flat foundation brush for liquid foundation. Apply, distribute, and blend the foundation with this brush. It applies the foundation evenly and leaves you with a flawless look. For those mineral powder users, a round brush with a flat end is best. Blend the mineral foundation onto your entire face in a circular motion until your face is covered with foundation. Make sure all the powder is blended in well. This brush is used to apply blush to the apples of your cheeks. It can also be used for a highlighting powder just above the apples of your cheeks. The bristles should be soft for feathering and blending of the blush on your cheeks. Used for blending loose powder or even pressed powder all over your face after foundation and blush has been applied. Tip - I apply a small amount of powder to my face after applying foundation to set it. Then I apply blush. Then apply powder all over once again for a completely blended and flawless look. Tapered round edge and smooth, firm fibers for shading or blending eyes shadow on the eye lids. Used for controlled application of darker eye shadows in the crease of the eye. 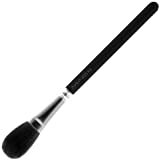 This brush is used for lining, shading, and shaping the eye or eyebrow. Use it to add a small amount of highlighter color to the inside corners of your eye to brighten the eye. For lining, use a small amount of dark brown or black eye shadow as your liner in lieu of a pencil or liquid liner. If you use a pencil or especially liquid liner, you can use this brush to soften the line. Use this brush for separating eye lashes or combing / brushing eye brows. Firm bristles – hold more makeup. A good firm brush for eye makeup is what you want to hold more color. Soft bristles – hold less makeup. Soft bristled brushes are better for loose powder or pressed powder so that it goes on lightly for feathering. It creates a flawless look and not a caked on look. I can't tell you how many of my friends and clients admit to never cleaning their makeup brushes or sponges. This is a must. Dirty brushes contain bacteria that you keep applying to your face. I would suggest cleaning your brushes at least once a week. It is very easy to do. All you need to do is fill a cup with warm soapy water and dip your brushes in there. Swish them around a little bit and use your hands to clean the makeup out of the brushes. Lay them out to dry on a dry towel when finished. That is all you have to do to have nice clean makeup brushes. If you apply makeup every day then good makeup brushes are a must. It makes a world of difference in the application of your makeup. I spent many years using the brushes that came with the makeup that I purchased and wondered why my makeup did not look as good as the woman on the packaging. Those brushes are cheap and not well designed. I discovered MAC brushes and it made a huge difference in how my makeup went on. I refer my Mary Kay clients to MAC and use them myself. For me, it is fun to apply my makeup now. I love to look good and it is easy to do with MAC makeup brushes. They are the best makeup brushes around. Beauty and Fashion tips for the average size woman. Feel good about the way you look! @pinkchic18 - I have done the same thing over the years. I finally invested in some good brushes. I have a set of MAC brushes and a set of Mary Kay brushes. Both are great and have lasted forever. You have to clean them regularly too. Thanks so much for all your comments. I really appreciate it. This is a great article! Over the years, I've collected some run-of-the-mill brushes that seem to fall apart on me without fail. It'd be good to invest in something a little nicer that will last me longer! Great job here! Thanks kinworm - glad you found it useful. Makeup just takes practice. Once you do it a few times and practice it is easy. Brushes like this make it even easier. Very useful, Angel! I am useless with make-up and I only wear it occasionally so there are some great tips here which I can try! Hi Jimmie - I have also used them for art. Some of the stiffer brushes are lot better than what we could find in the art store. Thanks for stopping by and commenting.. I don't use lots of makeup, but my daughter uses makeup brushes in her art class. She says they are great smudgers! Thank you Brenda! I need all the help I can get. The Mary Kay brushes are good too. I also have a set of those that I keep in my travel bag. Both are great brushes. I just like the MAC because of the variety of brushes and quality. You can't go wrong either way. Thanks for reading and commenting! I stumbled this article for you. Great article. How do you clean your makeup brushes? Maybe a better question is do you clean your makeup brushes? Follow these easy tips to clean your brushes and help them last longer.